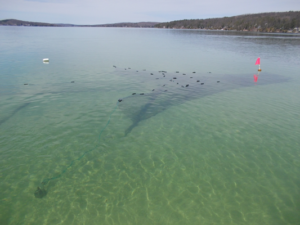 The DNR Fisheries Division will be conducting a fish community survey on Torch Lake from June 4 through June 8. 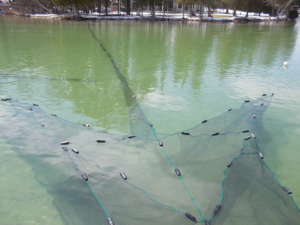 There will be numerous types of nets set across all of Torch Lake. The nets will be marked with buoys; it is very important that boaters be aware that these buoys are out there and they should not travel between the buoys with their boats. Most of the nets will be around the shoreline areas, boaters should avoid travelling between the furthest outside buoy and the shoreline. Some nets will be out over deeper water- these nets will have buoys with reflectors on them, but again boaters should be careful not to travel between buoys. Anyone with any questions should feel free to contact Heather Hettinger at hettingerh@michigan.gov. She will be out on the lake with the crews for most of the week, and folks are welcome to ask them questions at the boat launch or from their dock. The majority of the fish collected will be returned to the lake alive, but they will be collecting low numbers on a handful of species to send in for contaminate testing. A full write-up of the survey results, including growth rates and various other analysis will be available in Spring 2019.